It isn’t just the desire for a healthier and more attractive smile that determines your best treatment option. In fact, you have several different highly customizable options to accomplish that. When it comes to improving your smile, it also matters how big of an impact your treatment will have on your long-term oral health. For many patients, porcelain veneers offer an optimal solution for several different reasons. Not only is the porcelain designed to closely mimic your healthy, natural tooth structure, but veneers are also made to address several different types of issues with your smile’s appearance. What could they do for your smile? Any cosmetic dentistry treatment you receive is customized to meet your specific needs. However, porcelain veneers are unique in the fact that they can address most types of issues, including several at once, all at the same time. A veneer is a custom-designed, wafer-thin shell of porcelain that replicates the front surface of your tooth. The shell is permanently bonded to the front of a tooth, instantly creating a revitalized, healthy, and blemish-free appearance. Though thin enough to require only minimal tooth preparation, custom veneers are durable enough to withstand daily bite pressure while improving and restoring the appearance of one or several teeth. Are they really the best way to improve it? Because of their ability to create dramatic improvements to your smile without dramatically changing your tooth structure, veneers are often the most effective way to create the smile you’ve always wanted. However, if your smile concerns are minimal, then there may be an even more conservative way to address them. For example, if your teeth are stained, then your dentist might recommend teeth-whitening to improve them. If you only have a single tooth that’s chipped or marred, then it might be improved with cosmetic tooth bonding, which requires even less (or no) preparation of your tooth structure. Will anything change after they’re placed? 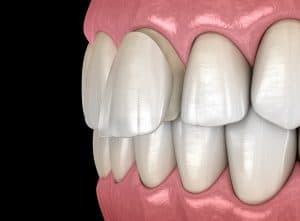 The point of lightly preparing your teeth by sculpting a small amount of enamel from their surfaces is to accommodate the veneers with the most lifelike results. Once bonded in place, your veneers will lay flush with the rest of your other teeth, and the underlying tooth structure will remain strong and healthy in the long run. Because of their realism, caring for your veneers isn’t much different than caring for your smile has always been. Be sure to brush your teeth and veneers at least twice a day and floss at least once, preferably using a soft-bristled toothbrush and minimally abrasive toothpaste. Also, visit your dentist as often as recommended for routine care and maintenance to ensure your teeth and smile remain healthy. Their highly lifelike appearance and durability make porcelain veneers popular. Their unique versatility makes them likely your best choice for improving your smile, as well. To learn more, schedule a consultation by calling Syosset Dental in Syosset, NY today at 516-433-2211 or 516-921-6930.